GUNS KILLS PEOPLE!!! In the last few years, we have seen an increase in active shootings. However, as long as I have owned guns it has never got out of its case to kill someone. The truth is that people kill people. So many people are concerned about how to survive an active shooting. An active shooter is a person engaged in killing or attempting to kill people in a populated area. According to the FBI stats in 2013, we have experienced an average of 11.4 incidents annually (FBI Stats). Yes, these incidents are very infrequent. However, the destruction can be devastating. Many of these active shootings injure hundreds of people while taking many lives. This is in comparison to a single shooting that can take one or two lives. The probability that you will ever be affected but such a situation is low. However, that doesn’t mean that it can never happen to you. That is why it is important to understand how to survive an active shooting. The best way to survive an active shooting is to decide now what you will do if the time ever comes. Otherwise, our minds will be predisposed to thinking everything is fine or will be paralyzed by fear. We are programmed to follow the crowds. In an active shooting, that might not be the best way to survive. 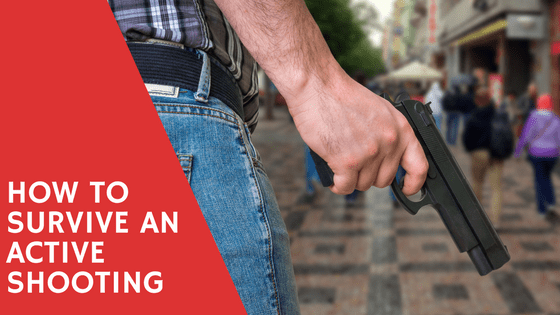 So here are a few tips on how to survive an active shooting. It is sad that we live in a time where we have to be concerned about visiting certain locations. The fact is that active shooters think just like terrorists when choosing targets. They search for heavily crowded areas where people are defenseless. Active shooters especially love gun free zones. Gun free zones actually make people more susceptible to an attack. Active shooters will target people who can’t fight back. According to the stats mentioned earlier, active shooters mostly target places of commerce, education, government buildings, healthcare facilities, houses of worship and open spaces. 45.6% of active shootings happen at places of commerce like malls and shopping centers. This is because people are occupied and focused on shopping instead of their own well-being. It is easier to cause a lot of destruction because of the limited flow of traffic. This is important to keep in mind because it affects our way of life. These targets are pretty much areas that we all visit frequently. Now, I know that we want to enjoy our life. But it should give us an awareness when we visit these locations. This is why the next point about situational awareness is so important. Having situational awareness is also known as living in “condition yellow.” Condition yellow is positioned between being unaware and alert with focus. It is the balance between both. Some say that it is impossible to live life in condition yellow. I would disagree. I believe that there is a way to always be alert to your surroundings without living in paranoia. If we develop situational awareness on a regular basis it becomes a way of life. Now being in condition yellow doesn’t mean that you are always nervous. Nervousness causes your focus becomes narrow-minded. When you consider how to survive an active shooting you cannot be narrow-minded. Narrow-mindness limits the amount of information that you are processing. You want to have a broad focus of your surroundings so that you can actually process the total picture. You can’t just look at part of painting or artwork and be able to know what it fully represents. There are two parts of situational awareness observing and orienting. It is important to be observant of your surroundings. This helps you gather information about the situation that you are in. In order to get enough information, you need to be in a position to collect sufficient information. If something obstructs your view then it will limit the information that you can process. For example, when I go to restaurants I always sit at a table with the view of all entrances and exits. This way I can observe everyone that enters. However, if I had my back against these entrances then I wouldn’t be able to collect enough information about the situation. By having this view you are able to establish a baseline of normal behavior. In a restaurant, the baseline of normal behavior is casual, relaxed and social. Therefore, if someone comes in very nervous, stressed and anti-social then that should raise red flags. By observing these red flags you are able to orient yourself to make a move. That move could be to flee or fight. These two parts of situational awareness are only two parts of what is known as the OODA (Observe, Orient, Decide, and Act) Loop. I discussed this a little further in a post about What to do After SHTF. The next part of the OODA Loop is to decide and act. However, you can get an advantage over an active shooter by already establishing a few things prior to the situation. When you are involved in an active shooting it is a race between you and the shooter to complete the OODA loop. The first one to get there typically wins. So there are a few things that you should do prior to being involved in such a scenario that would give you an advantage. If you don’t live in a slave state like California then you are most likely able to get a conceal carry permit. The best way to beat a man/women with a gun is by another man/woman with a gun. You can’t bring a knife to a gun fight. With much power comes much responsibility. If you are ever forced to pull the trigger on a bad guy then your life is going to be turned upside down. Defending yourself with a gun doesn’t end after shooting a trigger. Because immediately afterward is when the real struggle begins. You are going to be questioned by authorities to make sure that you have lawfully protected yourself. Some people are even arrested and forced to defend themselves in court. If you are like me then you can’t afford an attorney and court charges. 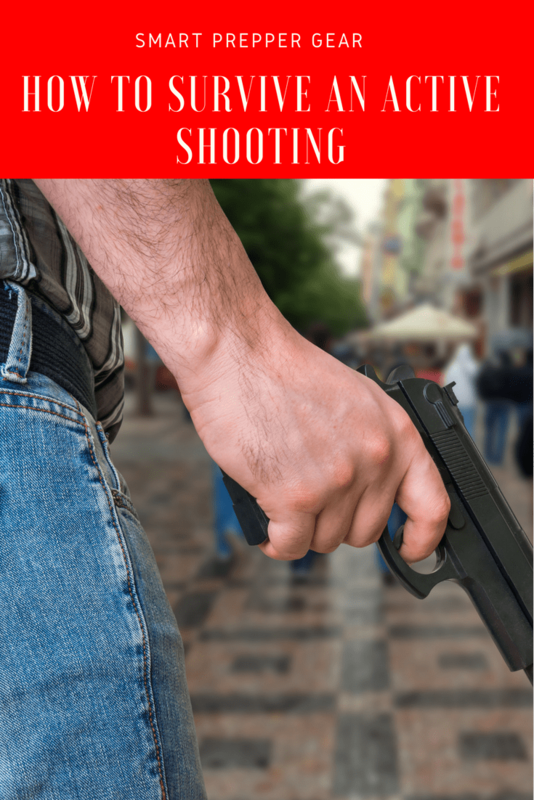 This is why it is important to understand what happens after shooting someone in self-defense. This is why I signed up with United States Conceal Carry Association. For only a few bucks a month they will provide me with representation and cover court costs. It works just like car insurance after you get in an accident. Many people brag about having tons of guns. However, they never practice and train. What is the point of owning weapons if you don’t know how to effectively use them? It’s just a waste of money at that point. In fact, using a gun without training will actually put your life in more danger. So you should actively get training to develop the skills needed to effectively protect yourself and others. Going to a gun range to do target practice is not training either. In a real-life scenario, your target is not going to be standing still. It is going to be moving and shooting at you. So you need to get real-life training that will simulate such a situation. In my vehicle, I keep an active shooter response kit with me. Unfortunately, you never know if you will ever be involved in such a situation. This kit not only provides items to protect me but to help others as well. The most important item to carry is a first aid kit. When considering how to survive an active shooting the most important thing to focus on is survival. So there will be three options: run, hide or fight. Fighting may not be the right choice for you if you are not properly trained. Therefore, you may consider running in such a situation. If the active shooting is in an open area then this may be a viable option for you. However, you don’t want to take off running when you are hearing gunshots. Instead, wait for a pause in the shooting. Typically this will happen when they are reloading. Another option may be to hide. Now you don’t want to place yourself in a worse position by hiding in the wrong place. This is why it is important to understand the difference between cover and concealment. When you are looking to hide you will need to find cover and not concealment. Concealment hides but cover hides and protects. Yes, both options will give you the ability to observe the shooter so that you can potentially shoot. But if they start shooting back while you are in concealment then your life is vulnerable. Materials to look for in cover include steel, concrete, water, packed earth and thick wood. These make great sources of cover. Bad options include foliage, netting, shadows, and fabric. Those materials will hide you but not protect you. 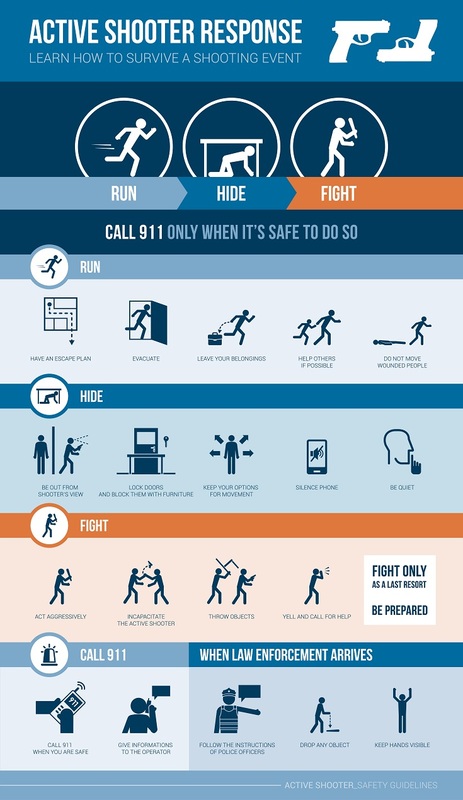 So altogether these would be my tips on how to survive an active shooting. If you have any feedback or questions then please leave them below. Your feedback will help the community prepare the smart way now so that we can thrive later.